A beautiful piece for your bedside or favorite nook, this in-built game table is a sure shot way of making family time even more fun. 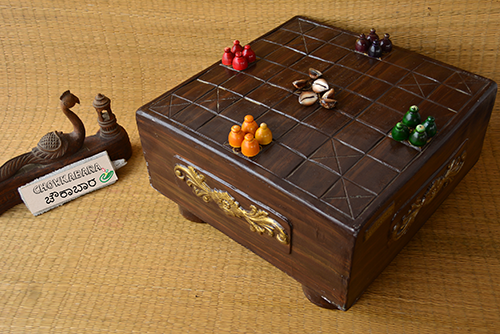 Made of wood, the 1 ft x 1 ft game table comes with 16 game pieces and 4 cowrie shells. You can personalize it further with your favourite colours and size.